Last week, we talked about how sin often acts like a Rube Goldberg machine, with one sin leading to another and another. This week, we will see how God often works in the same way—stringing together actions, even difficult ones, that lead to the fulfillment of His plan and bring about His glory. The life of Joseph can be outlined as a series of highs and lows. It began with a high—at least for him—of being the favored son in his father’s house. But then, as a teenager, Joseph experienced one of the lowest lows of his life when he was betrayed by his brothers and sold into captivity. This is where we pick up the story this week, with another relative high. Joseph was still a slave, but we read that God was with him and that because of God’s kindness, Joseph rose to a place of prominence in Potiphar’s house. But then the pattern continued with another low—Potiphar’s wife false accusation against Joseph which led to his imprisonment. 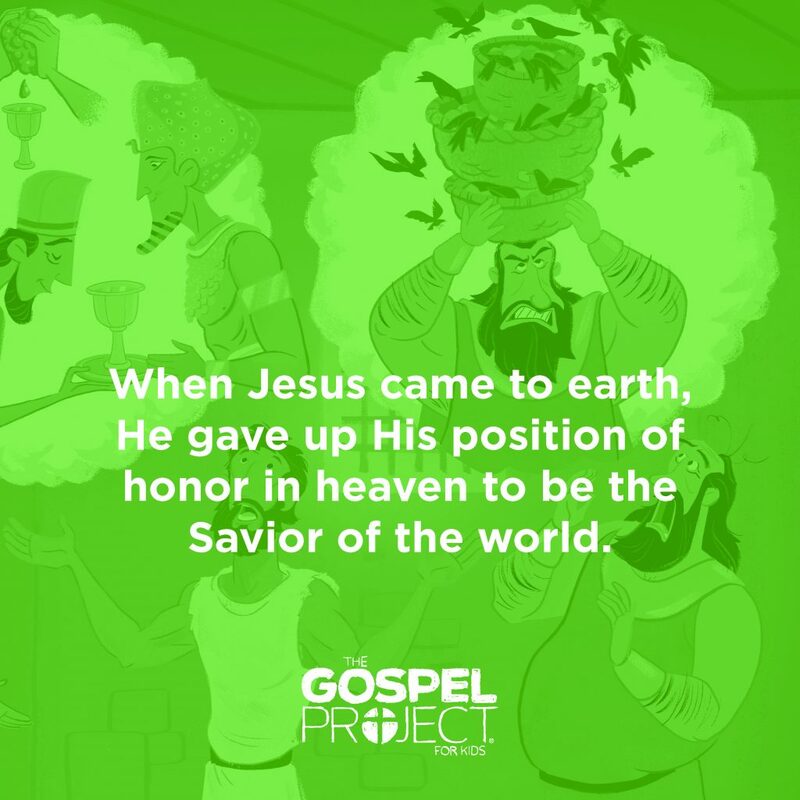 Joseph did what was right, but was wronged for it. Prison went the same way that Potiphar’s house did. God was with Joseph and because of that, he rose to a place of prominence again. But then, Joseph was forgotten by Pharaoh’s official—at least for a time. As we read this, we have to wonder if Joseph ever looked up into the heavens and shouted, “Really?!?!! Again? This is what happens again?” He certainly may have, but we are given no hint of it. Instead, what we see is Joseph, who seems to have matured quite a bit, remaining faithful to God every step of the way. And in the end, we see that God was using all of these events—both high and low—to drive Joseph to where he needed to be in the right time—in Pharaoh’s court interpreting his dreams. We need to recognize that God did not have to use the events of Joseph’s life to lead him to that critical moment before Pharaoh. God is sovereign; He could have brought this to pass in a billion other ways. Literally. And that isn’t even accurate enough. But God bypassed every other way and chose this one. Why? Why did He choose to use this series of highs and lows? Why put Joseph through such adversity? Because through Joseph’s life we learn a critical point for our lives: adversity is not antithetical to good. Or put another way: bad is not always bad. God will often use difficult situations—even painful ones as we see in Joseph’s life—to bring about good. In this account, we see that God was with Joseph every step of the way—through every high and every low—guiding him and directing him toward what would ultimately be for his good (and his family’s good) and more importantly, for God’s glory. And in this, we might find great comfort. Our pain is not random. It is not pointless. Yes, it hurts, but it is not without purpose. We might not be able to see it—in fact, we may not see it as we draw breath in this life, but we can know that God is at work somewhere, somehow behind the scenes and that all He does is for His glory and our good. This is what we can learn from Joseph. This is what we can help our kids see from this account. We are not to judge our situation by the difficult externals around us, but rather, by the internal wonderful God within us. Preschool Tip: An important element of this story is how God was with Joseph every step of the way. For kids, we might not camp out on that detail as much; we might trust that they already know that and move on to the other important aspects of this passage. However, for preschoolers, we would want to spend more time on that detail. Our preschoolers need to understand that God is with them always—that they are never alone and never forsaken, no matter what. Kids Tip: This session is so important for helping our kids understand how to process the difficult times in their lives. And we need to help them to see this; remember that many of them are already dealing with deeply painful situations. However, we don’t want to stop there. This truth is strengthened by a greater example than Joseph—Jesus Christ. Be sure to save time to talk about the Christ Connection (as I hope you do each session), helping your kids see that God brought great good—our salvation—through the painful adversity of His Son. “There Is a Balm in Gilead,” Hymnary.org, accessed April 30, 2018, https://hymnary.org/text/sometimes_i_feel_discouraged_spiritual. This lesson says to distribute “Letter Meanings” printable, but I don’t know where to find that. The activity printables are on the enhanced CD that comes in the Leader Kit as well as on the Additional Resources page.